Robert Musil: "Attempts to Find Another Human Being"
This site is intended as an informal space to share international discourse on the Austrian novelist, essayist, dramatist, scientist, mathematician, and thinker, Robert Musil, on his works, and his growing reception. Unions: Two Stories, by Robert Musil, translated and with an introduction by yours truly, will be out on April 15th, the anniversary of Musil's death. 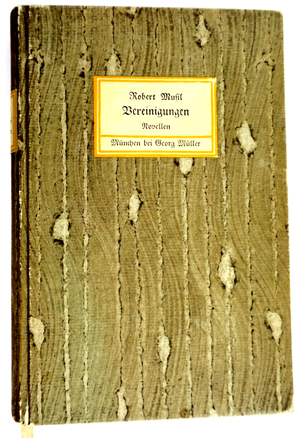 Beautifully typeset and designed by Contra Mundum's Alessandro Segalini, our book is graced with a cover featuring a painting by Musil's wife, Martha, allegedly inscribed to the dentist with whom she conceived her daughter during her second marriage (to Herr Marcovaldi), an incident which is referred to in the first story of the collection. Both the stories in Unions were inspired by Martha's experiences and psyche, and, as such, I feel that this book, especially in our edition, is Martha's book, issued in her honor. I have also dedicated my introduction to my sister, Simone Ellin, and all the other non-biological sisters in my life. It is a woman's book, about women's desire, though written by a man. An amazing act of ventriloquism, translated into English and, I like to think, somehow, now, translated back into a woman's voice. Mark Mirsky inspired me to translate these stories, with a query about the original text of the first one, and it will appear in his magazine Fiction, some time in the spring. Rainer J. Hanshe, Contra Mundum's driving force, sustained me through the difficult task in all its phases, supplying invaluable insight into questions large and small. 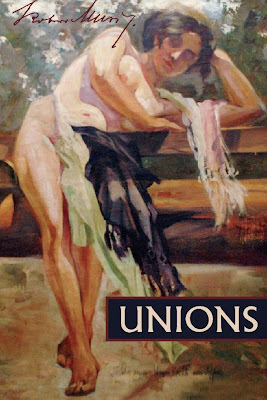 I have recently finished a new translation of Musil's novella collection, Unions (Vereinigungen), which only appears in English in Wilkin's and Kaiser's collection called Five Women. 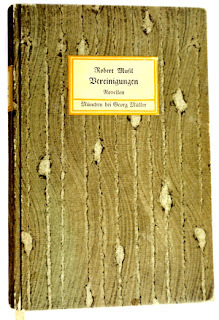 Originally, in German, it was its own book of two novellas, and the other stories in the English collection were printed in a book as Three Women. One of them, coincidentally, "The Portuguese Lady," is currently garnering some new attention due to a new independent film based upon it, which is making the rounds of the film festivals. Aside from the minor problem that Five Women grouped the two novellas of Unions together with the unrelated stories of Three Women, I came to feel that the Kaiser and Wilkins translation of Unions left much to be desired, and called for a fresh eye. These two early and very experimental stories of Musil's, entitled "The Completion [or Perfection] of Love" and "The Temptation of Quiet Veronica," are quite difficult to translate and also sometimes somewhat shocking or challenging to conventional morality. While Wilkins and Kaiser are very worthy translators, who have come up with some ingenious solutions to some of the more thorny passages in the stories, they have also normalized the stories, both in terms of their experimental prose style and in terms of their content, even to the extent of mistranslating a few key passages which they must have found too disturbing to render correctly. I will not, however, go into detail now, as all of this is explained in full in the translator's introduction, and the book should be out, with Contra Mundum Press, by the Summer of this year. The book's first story, "The Completion of Love," will also be featured in Fiction Magazine this Spring. But I will provide a few short passages below, just in time for Valentine's Day, to give some idea of the richness of the writing. 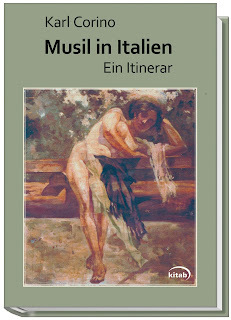 The next project is a bit more ambitious and involves the collecting and translating of Musil's plays and writings on theater, and will come out with Contra Mundum Press (again) sometime in 2020. Some excerpts from this book will be published in the upcoming Columbia Journal. Also, a translation of Klaus Amann's Robert Musil:Literature and Politics, an extremely relevant offering of Musil's writings on the role of the writer amid the rise of Fascism, along with a marvelous commentary and introduction by Amann, will be published in 2019, with Fomite Press. “But I have no desire to travel without you ….” His wife said this while she poured the tea, and she looked over at him, as he sat in the corner of the room in a brightly-flowered armchair and smoked a cigarette. It was evening and the dark green blinds looked out toward the street, in a long row of other dark green blinds, from which nothing distinguished them. Like a pair of dark and serenely closed eyelids, they hid the radiance of this room, in which the tea poured now from out of a tarnished silver pot into the cups, touching their bottoms with a soft ring, and then seemed to grow still in its own lustrous streaming, like a twisting, transparent shaft made of tawny, light topaz …. In the slightly dented surfaces of the pot were shadows of green and grey hues, also blue and yellow; they lay quite still, as if they had flowed there together, but could not continue on. From the woman’s arm rising from the teapot, to the look with which she gazed at her husband, a transfixing, rigid triangle was drawn about them. In those days she had loved the fur of a large St. Bernard, especially the fur in the front where the broad breast muscles protrude with every step from its arched bones like two hills. There was such an overwhelming mass of hair and it was so golden brown, and it was so much like some incalculable richness and a soft boundarylessness, that her eyes became confused when they let themselves fall gently on even the smallest patch. And while she felt nothing more than a single, whole, strong feeling of liking, that tender camaraderie that a fourteen-year-old girl feels for a thing, it was almost like being in a landscape. As when one walks, and the woods are there, and the meadows, and the mountain and the field are there, and in this great order everything fits so simply, like a pebble, each thing frightfully in place. When one looks at it by itself, cautiously alive, one suddenly becomes afraid amid the awe, as if before an animal that crouches and lays motionless and waits. But once, as she lay like that next to her dog, it seemed to her that this must have been the way giants were; with mountains and valleys of fur on their breasts, and song birds swinging in their hair, and little lice that sat upon the song birds, and — she did not know any further, but it didn’t need to have an end, and again everything was so connected, one thing after the other, and one thing pressing into the other, so that everything seemed to stand still out of an awe before all the power and order. And she thought secretly, that if the giants were to become angry, everything in this thousand-fold life would shoot out, screaming, in all directions, and deluge everything with a frightening fullness, and if they were to descend on someone in love — that would be like someone stomping down from the mountains and swooshing with the trees, and small waving hairs would grow on one’s body and creeping insects, and a voice that screams in bliss about something wholly unspeakable, and her breath would have to wrap it all inside of a swarm of animals, holding it fast. "Will Transformation": A new Rilke Translation by Burton Pike Awakens Us! It has been two years since I have written here, having been occupied more or less meaningfully with other things, but today it begins again, having, in a real Rilkean sense, been always waiting there to be reborn, noticed, re-opened. Burton Pike, Musil's consummate translator and herald, has dared to render a new translation of Rilke, a spare and serious collection, which erupts in sudden violent blossoms out of its careful respect for Rilke's consummate craftsmanship and his commitment to finding a language that could begin to approximate what it means to see new. 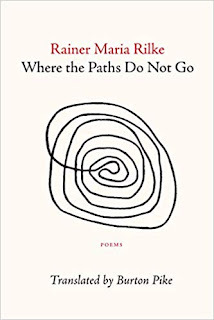 The collection, called "Where the Paths Do Not Go," after a line in a late poem called "Will-o'-the-Wisps," is gifted with a beautiful introduction that stresses the hard work that was required to "upend" German "as a poetic language." Burton Pike notes that many English translations do not "notice that the poems are not just beautiful, but the product of a hard, driving will that in German is evident in his mature work". Then the translator shares a passage from a poem Rilke wrote in 1908 for a young poet who had killed himself. In "Requiem," Rilke compares the work of the poet to that of a stonemason of a cathedral, who, "doggedly translates himself into the composure of the stone." This difficult transformation and difficult "translation" is a thread that runs through all of the poems, both in theme and form, as the poet struggles to transform new vision into new language to give birth to poems that are witness to the way in which all objects and persons are constantly in the process of changing state, becoming, dying, being born, undergoing metamorphosis through the medium of metaphor. The poems are often difficult, and difficult to understand, especially as the translator has taken great pains to leave open what Rilke has left open, not to fill in what has necessarily been left unarticulated in respect to the task: the approximate transformation into tentative form of something that is not quite fixed or fixable, something for which there is hardly a language yet. It is important not to mistake the magic of this metaphoric transubstantiation with an indiscriminate flowing of everything into everything, or anything into whatever. The approximation of like to almost like requires extreme caution and care, discrimination and selection, carving and cutting, an excruciatingly precise artistry. 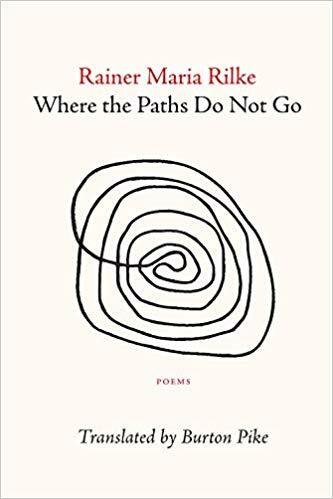 And Burton Pike's translation approaches the poems with an exquisite awareness of the necessity of exactitude in the articulation of that which is so fleeting and so difficult to grasp, an approach equally requisite to and present in his translations of Musil's kindred attempts. Wehe – : abwesender Hammer holt aus! das mit Anfang oft Schlieβt und mit Ende beginnt. will, seit sie lorbeern fühlt, daβ du dich wandelst in Wind. loves in the figure's changes nothing like the turning point. does it think itself safe protected by the nondescript gray? woe – absent hammer is raised! that with beginning often closes and with ending begins. since she feels herself laureling, wants you to change into wind. Contra Mundum Press: New Website, New Offerings, Sale! offering a $5.00 discount on every book when ordering directly through the press. The coupon code is: CntMn278(it can be added to the coupon code box above the "buy now" button for each book). I wonder on what system or non-system the books are arranged. 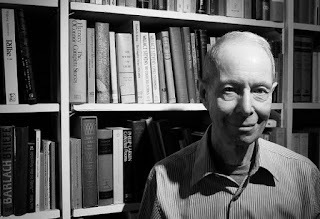 Gil Roth has interviewed Burton Pike on his series Virtual Memories, and it is a fascinating and moving conversation ranging from discussions of translation, teaching, cultural differences, language, surprises, Musil, Rilke, Meier, Proust, music, New York City, Cornell University, and more. It lasts for an hour and 34 minutes, so get comfortable with a cup of tea or glass of wine and enjoy Burton Pike's wise, witty, erudite, and warm presence! Congratulations to Burton Pike, who deserves all the awards as far as I am concerned! I have received a notice of a fascinating piece by Thomas Harrison on Musil's essayism, which I am happy to pass on to you all. Harrison is one of my favorite Musil scholars.Enjoy! 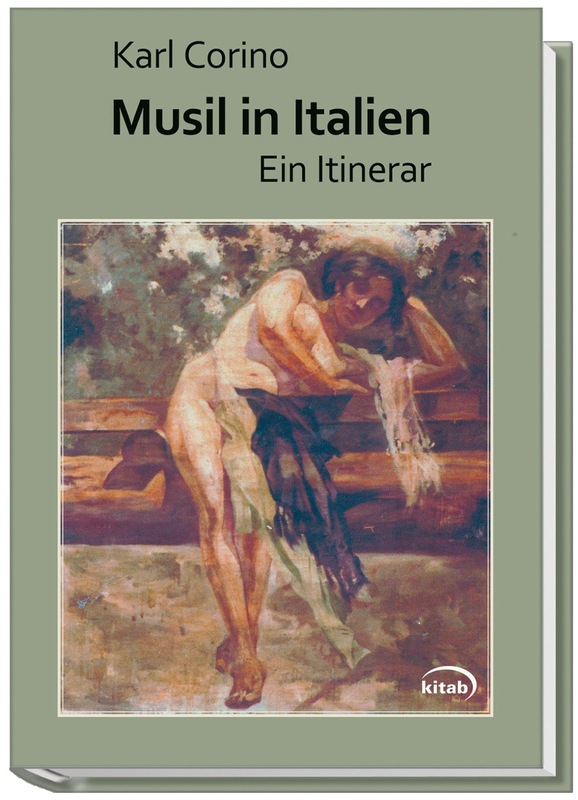 And, in other Musil publication news, Karl Corino, Musil's eminent biographer, has a new book about Musil and Italy out, illustrated with photographs and documents from his voluminous archive. In German, of course. With Martha Musil's self-portrait on the cover, also of course. "In fact, this could be the title for everything that I have ever written. I can think of no other excuse for spending one's whole life at a writing desk to become a beggar. [...] I can only imagine another duty with great difficulty. I have always been a writer, always pursued writing. It has come to pass in my life that people have scolded me for it and have called me a sick human being, an intellectual, an unmoral human being, a scientist, in short, everything that I am not, and only with resistance, under the pressure of a few, people have become accustomed to thinking of me as what I believe myself to be, and want to be: a writer." RECORDS book with sound in Montréal!